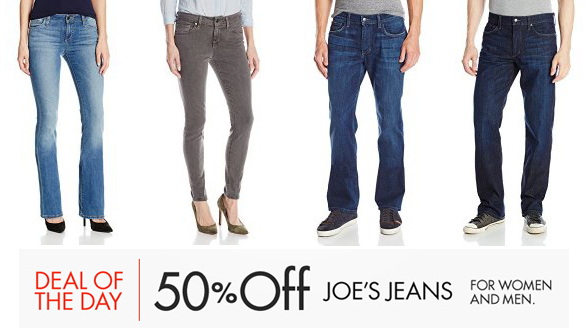 If you are a fan of Joe’s Jeans, check out this great deal! Today only, you will save 50% off! Plus, shipping is FREE with Amazon Prime or with Super Saver Shipping on orders of $35 or more. Choose from popular styles- including skinny, boot-cut, and petite sizes for women and straight, relaxed, and boot-cut picks for men- in a variety of washes.